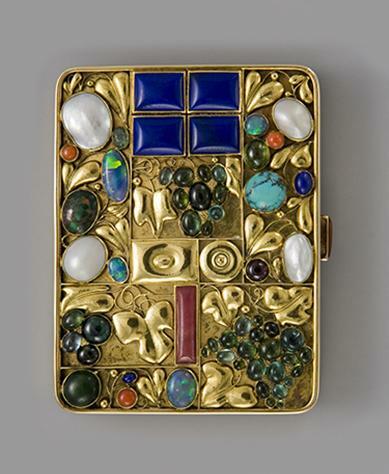 "Wiener Werkstätte 1903-1932: The Luxury of Beauty" is a major retrospective exhibition devoted to the Wiener Werkstätte (Vienna Workshops), an artists’ and craftsmens’ collective that existed in Vienna from 1903 until 1932. 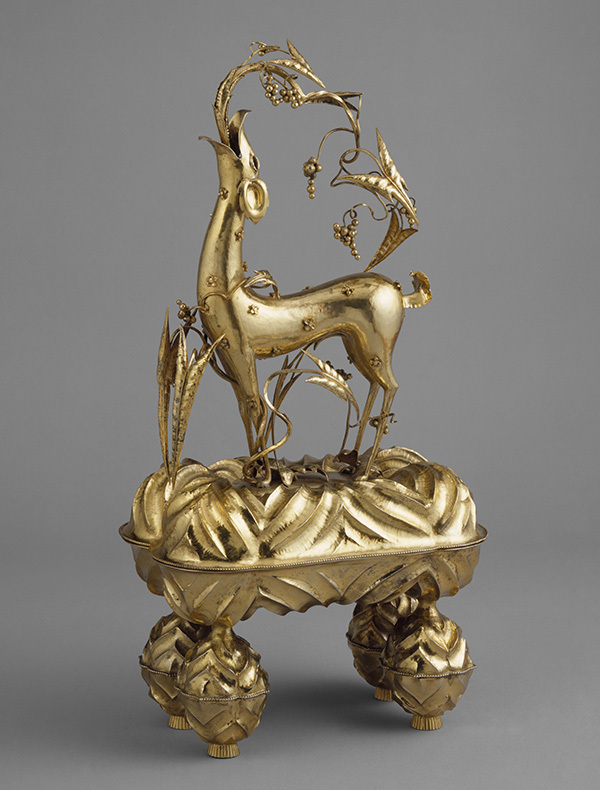 More than 400 objects have been selected for the presentation, and the loans are drawn from both public and private collections in the United States and Europe, including significant pieces from Austria. This show surveys the entirety of the firm’s extensive output in a variety of media, including ceramics, drawings, fashion, furniture, glass, graphic design, jewelry, metalwork, textiles, and wallpaper. 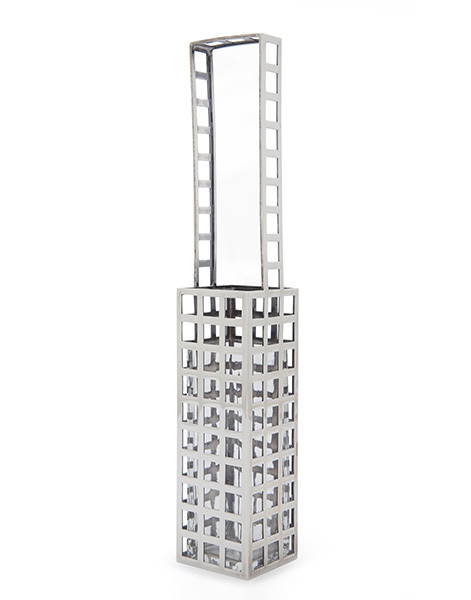 Special highlights of the show will include iconic examples of furniture by Josef Hoffmann and Koloman Moser, which will be complemented by rare and often unique works crafted in silver, gold, and semiprecious stones that convey the Wiener Werkstätte’s luxurious aesthetic. 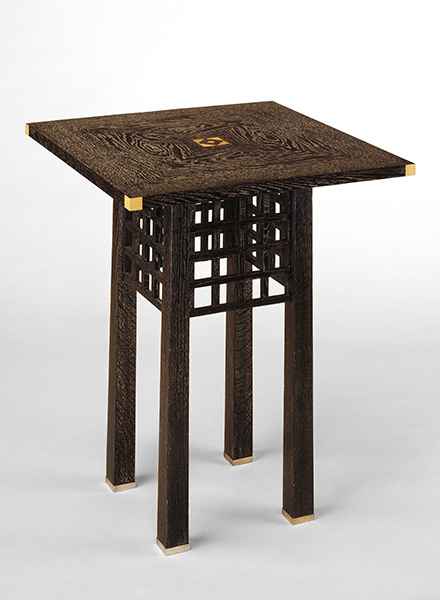 The Neue Galerie has previously staged monographic exhibitions dedicated to the work of Josef Hoffmann (2006), Koloman Moser (2013), and Dagobert Peche (2002), all major designers who shaped the aesthetic of the Wiener Werkstätte. 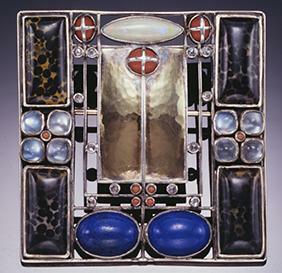 This is the first comprehensive American museum presentation on the entire Wiener Werkstätte, and it will cover all the significant artists who were members, such as Hoffmann, Moser, and Peche, as well as less well-known designers such as Gudrun Baudisch, Carl Otto Czeschka, Berthold Löffler, Arnold Nechansky, Michael Powolny, Felix Rix-Ueno, Max Snischek, Vally Wieselthier, Eduard Josef Wimmer-Wisgrill, and Ugo Zovetti. 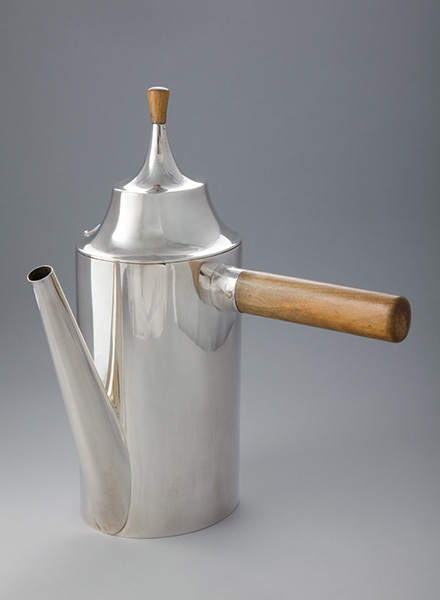 The show is curated by Dr. Christian Witt-Dörring, Curator of Decorative Arts for Neue Galerie New York, who has organized past Neue Galerie exhibitions, including "Dagobert Peche and the Wiener Werkstätte" (2002), "Viennese Silver: Modern Design, 1780- 1918" (2003), and who served as co-curator of "Vienna 1900: Style and Identity" (2011). Janis Staggs, Director of Curatorial and Manager of Publications, is the co-curator for the exhibition. She organized "Wiener Werkstätte Jewelry" (2008) and "Gustav Klimt and Adele Bloch-Bauer: The Woman in Gold" (2015), among other projects. The show is divided into three main chapters: "Founding Years, 1903-05"; "Harvesting Years, 1906-14"; and "Years of Reinvention, 1915-32." 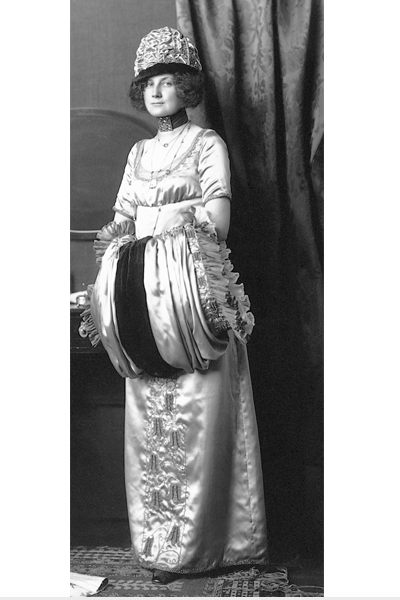 A concluding room will highlight the Wiener Werkstätte of America, which was located on Fifth Avenue in New York, as well as Joseph Urban’s involvement with William Randolph Hearst’s Cosmopolitan Productions. The second-floor galleries will showcase major pieces of furniture, works on paper, and decorative objects with their related design drawings. John Vinci of Vinci-Hamp Architects, a Chicago-based firm, is the exhibition designer. The show has been conceived to convey the ideal of the Gesamtkunstwerk, or total work of art. Each of the three main galleries will provide unique and immersive environments that reflect the individual chapters of the presentation. Period wall treatments and other details will evoke the atmosphere of Wiener Werkstätte interiors. A fully-illustrated catalogue, designed by Pandiscio Co. and published by Prestel Verlag, will accompany the exhibition. Essays by specialists in the field will cover the gamut of the Wiener Werkstätte’s long history, and include analysis of the various departments within the firm, as well as in-depth examinations of other related subjects. The catalogue represents a major addition to the extant literature on the Wiener Werkstätte. Contributors include Paul Asenbaum, Isabella Cröy-Frick, Anette Freytag, Rainald Franz, Marianne Hussl-Hörmann, Ernst Ploil, Anne Katrin-Rossberg, Elisabeth Schmuttermeier, Janis Staggs, Angela Völker, and Christian Witt-Dörring. 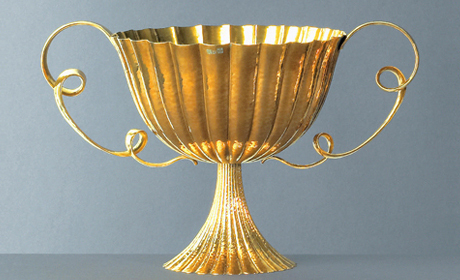 "From an ebonized oak and boxwood inlay table to a silver flower basket, the details seen in these objects will delight any decorative arts enthusiasts. The immersive environments in which they are displayed will also be appreciated by anyone who likes a good interior." "The Neue Galerie exhibition contains photographs of Urban’s exquisite designs for the New York showroom as well as the architect’s film and opera sets, to reveal something of the surprising and rather underexplored influence of the Werkstätte across the Atlantic."